Ghostly in appearance, a boy wondered the bloodsoaked battlefield. His knees were stained with blood and his arms disjointed. There were bodies everywhere, some with German insignias. Blades and bullets piercing skulls. Screams filled the air as the battle raged on across the streets. An empty ramshackle tavern housed a short supply of ale and bread, which the boy devoured hastily. There were some survivors but they were barely alive. What little breath they had left was used to ask the boy to put them out of their misery, which the boy sadly did. Only the constant ringing in the boy's ears was heard. As he trudged onwards, the boy made out a distinct pair of corpses. He rushed over to them ignoring his agonising pain. They were his parents. Tears streaming down his cheeks, he clasped his father's hand and screamed. Whatever colour was left in his face was drained. He couldn’t bear the thought of being alone. Of being an orphan. The boy ran faster than he had ever ran before. Trying to escape the torment that had befell him. The silence became eerie and the boy felt like he was being followed. He ran and ran but couldn’t escape the feeling nor the silence. Clutching the boy's shoulder, a looming man with a British symbol embedded on his jacket glared at him. He was silent with broad shoulders. Reaching out his hand in a kind manner the Brit led the boy to an abandoned house shrouded in shrubbery and vines. 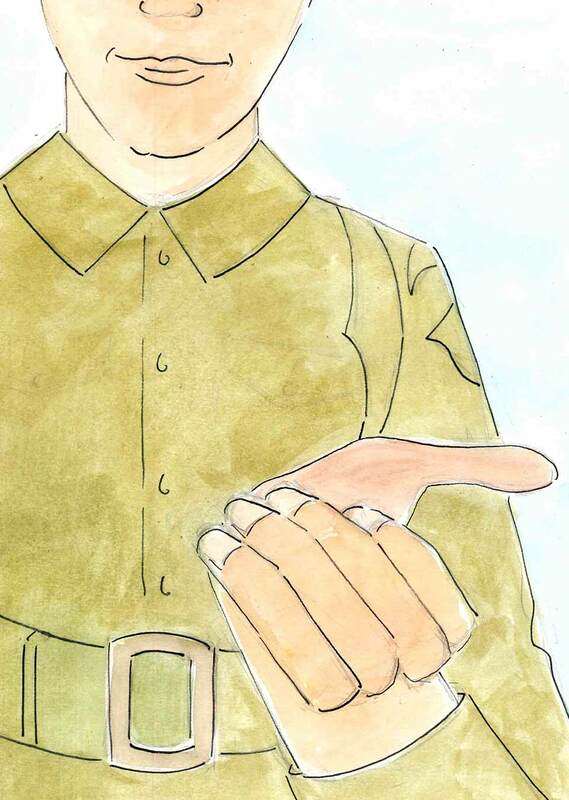 The boy struggled to escape the grip of the British soldier. Entering the house he realized that it was a firing range filled with soldiers. “This is what happens to rats,” The soldier boomed as the others fired at the boy. He died loyal to Adolf Hitler. There was a bang, it was petrifying. So I wasn’t feeling great at the time, but at least I ate a bit.